The DCEU might be done with Jared Leto Joker movie projects for the time being. According to sources, the Joker & Harley Quinn movie, along with the DCEU solo Joker project, aren't happening anymore, or if they are, they aren't a major priority. Margot Robbie's Birds of Prey is currently filming and Jared Leto is in the U.K. preparing to start work on Sony's Morbius the Living Vampire. Many believe that Leto is finished playing the Clown Prince of Crime, though that has yet to be confirmed. It appears that the Joker & Harley Quinn movie, along with the DCEU solo Joker project have "fallen by the wayside" at Warner Bros. The studio has a massive success on its hands with James Wan's Aquaman and looking to move forward, away from the connected DCEU projects. Along with Wonder Woman 1984, Shazam!, and Aquaman 2, the studio is preparing to launch Joaquin Phoenix in Joker, which is said to be a much different take on the iconic villain. In other words, the future is looking bright for DC projects. A script for the Joker & Harley Quinn movie was finished last fall. Writers Glenn Ficarra and John Requa revealed their idea and it sounded pretty crazy, taking Bad Santa and mixing it with This is Us. The studio was reportedly pretty happy with the results at the time, but even Ficarra and Requa seemed unsure of if and when the movie was going to come out. With Leto doing a Marvel movie and Joaquin Phoenix making the Joker movie, it seems that he may not return to the character. 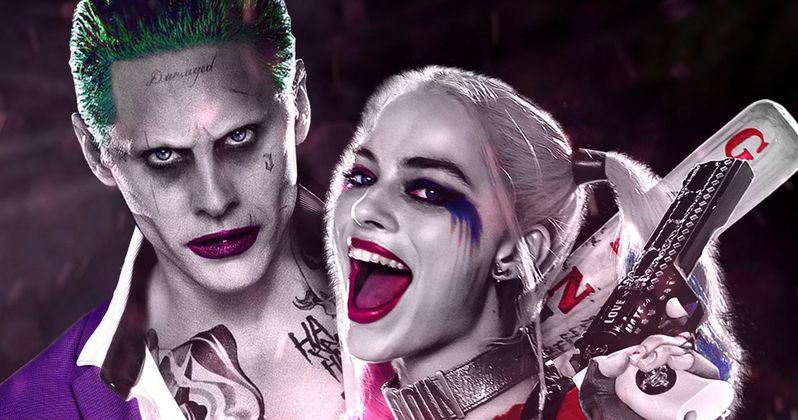 It has also been rumored that Margot Robbie will not return in James Gunn's Suicide Squad 2, which likely means that Jared Leto's Joker won't be there either. It is believed that Gunn is starting from scratch for his version of the story. Leto was barely even seen in the first installment, so that might not be too big of a change. However, Robbie's Harley Quinn helped to make the movie a box office success, which also spread the popularity of her character to the masses. There's a reason that Birds of Prey is on deck. With Joaquin Phoenix up next in Joker, the studio might be taking a breather from the character, which would make a lot of sense. With that being said, there is a chance that the other movies with Jared Leto on board could happen at a later time as way to not confuse audiences. That's pure speculation, but for now it looks like the Joker & Harley Quinn movie and the standalone DCEU version of a Joker project are done for the moment. With a ton of positive reviews from Wonder Woman and Aquaman, Warner Bros. is in a good spot to keep moving forward. This report originated from Forbes.